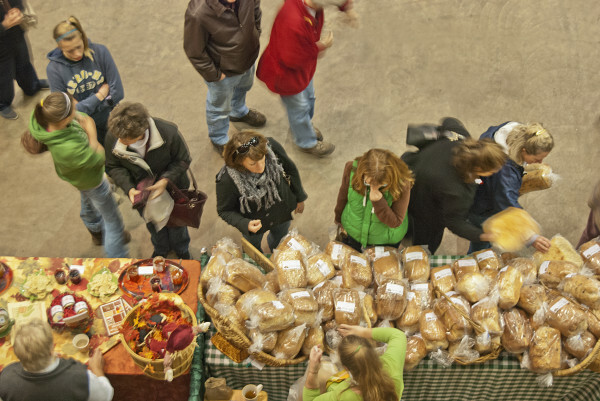 Daily Bread of Levant will be one of many vendors at the Maine Harvest Festival. Yo Momma's Apron Strings aprons are a great holiday gift for foodies. Abby Freethy, otherwise known as Northwoods Gourmet Girl, serves up a helping of her ravioli with a garlic cream sauce at her Greenville kitchen. 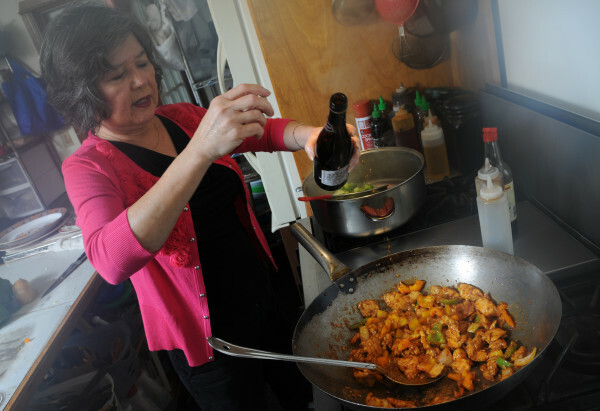 Bich Nga Burril adds a little cooking wine to her "My Diet Chicken" as she cooks it in her home-based kitchen in Winterport. 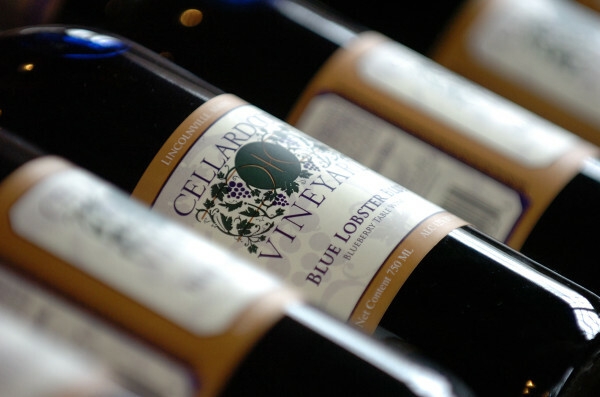 Pictured are a few varieties of cheese made at State of Maine Cheese Co.
Cellardoor Winery's Blue Lobster Blue wine is made in Lincolnville with Maine blueberries. Each year, the Maine Harvest Festival gets a little bit bigger. Between the food, the music, the demonstrations and workshops, not to mention the fantastic early holiday shopping ideas — handmade baskets! Alpaca sweaters! Adorable retro aprons! Hot sauce! Kitchen gadgets! The premiere of Raye’s Mustard’s new Moxie Mustard! — there’s a lot to take in. 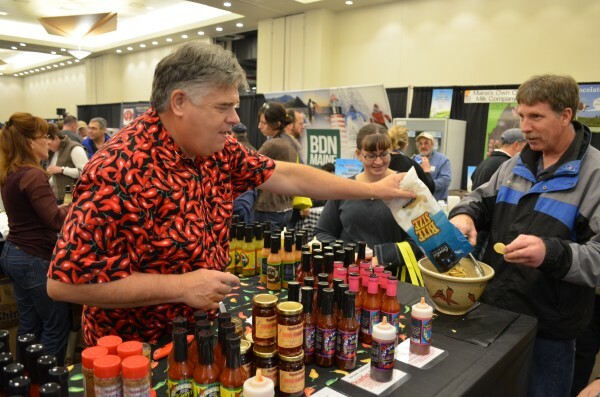 Here are seven things you definitely do not want miss at this year’s festival, set for 10 a.m. to 6 p.m. Saturday, Nov. 8 and 10 a.m. to 4 p.m. Sunday, Nov. 9 at the Cross Insurance Center in Bangor. Admission is $7; it’s free for kids age 12 and under. Outside the arena, Pizza Pie on the Fly will have its mobile wood-fired pizza oven open. Inside, enjoy treats like ice cream from Stone Fox Farm Creamery and Wild Cow Creamery, Asian food from Far East Cuisine, crab cakes from Northwoods Gourmet Girl, barbecue from Nostrano or a pick-me-up pour-over coffee from the gals at 44 North Coffee. And from the Wrong Turn Pub in Kenduskeag, there are Down East Egg Rolls — bean-hole baked beans, caramelized onions and a red hot dog, wrapped up in egg roll wrappers and fried. If that’s not a Maine original, we don’t know what is. All foods are available for purchase. So much cheese to be sampled and purchased! 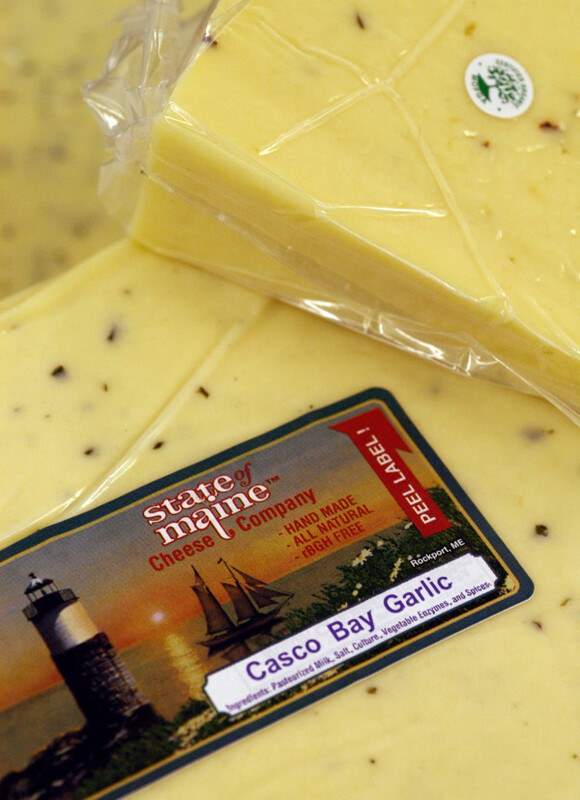 Several of the many delicacies that will appear at the festival include lovely goat cheeses from Appleton Creamery; spreads and yogurts from Balfour Farms in Pittsfield; fresh and aged cheeses from Crooked Face Creamery in Skowhegan; beautiful bries, blues and goudas from Fuzzy Udder Creamery in Whitefield; spreadable cheese from Imagine Dairy Farm in Warren; cheese and yogurt from Siberia Farms in Hermon; jack and cheddar cheese from State of Maine Cheese Company in Rockport; and farmstead cheese from Wholesome Holmstead in Winthrop. 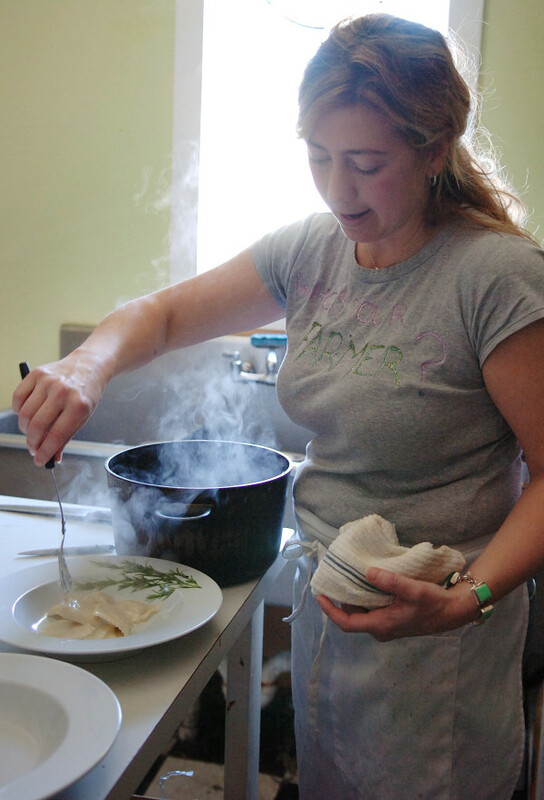 Learn new tricks at one of the many cooking demonstrations set for the weekend. Try your hand at perfect pie crusts with the folks from Buck’s Harbor Market at 2:15 p.m. Saturday; a seafood dish with Kerry Altiero of Rockland’s Cafe Miranda at noon Saturday; clam cakes with Cheryl Wixson at 11:15 a.m. Saturday; whoopie pies with Dysart’s baker Dustin Nevells at 12:45 p.m. Sunday; a seasonal treat with Cliff Richard of the Good Shepherd Food Bank at 1:30 p.m. Saturday; roasted pheasant with the Northwoods Gourmet Girl herself, Abby Freethy, at 10:30 a.m. Saturday; gnocchi with Brian Ross of R.M. Flagg at 3:45 p.m. Saturday; Maine pollock succotash with Alejandro Rave of Thistles in Bangor at 11:15 a.m. Sunday; and a vegetable basil soup with the Bangor Daily News’ own food columnist and editor, Sarah Walker Caron, at noon Sunday. Did someone say pie? The best bakers in the state will compete for top marks in the first-ever Maine State Fair Pie Contest. One ingredient pies — just blueberry, just apple, etc. — will be judged by a panel of pie experts, including chefs Todd Chasteen and Kathy Speronis and Bangor city manager Cathy Conlow. Judging happens between noon and 3 p.m. Sunday. Bacon lovers don’t need to look too hard to find some seriously spectacular piggy treats at the MHF. Several Maine-raised and cured bacon for sale at the festival this year include maple bacon from Luce’s Farms in Anson, delicious smoky bacon from Smith’s Smokehouse in Monroe, sinfully wonderful bacon from Bagaduce Farm in Brooksville and fancy bacon from Savage Oakes Winery in Union. There aren’t many chances left to get Maine produce before winter takes its final toll on the growing season. Fear not, though, there are several Maine farmers and gardeners at the MHF to sell you what’s left! Ripley Farm in Dover-Foxcroft will offer an assortment of late-season veggies and pumpkins, Blue Ribbon Farm in Mercer will bring veggies and homemade pasta and Fisher Farm in Winterport has root veggies, onions, garlic and salad greens for your eating enjoyment. Want something that’ll hold up even longer? Try the lacto-fermented veggies from Gracie’s Garden in Standish. A handful of Maine winemakers, brewers and distillers are set to show off their wares at the MHF. On the beer side, Black Bear Brewery from Orono and Penobscot Bay Brewery from Winterport will have tastings. As for wine, try out either Breakwater Vineyards from Owls Head, Catherine Hill Winery from Cherryfield, Cellardoor Winery from Lincolnville, Savage Oakes Vineyard from Union, Sweetgrass Farm Winery from Union, Winterport Winery and Younity Winery from Unity. Gins, brandies, vodkas, liqueurs and other spirits to be served include the always enjoyable Twenty2 Vodka out of Brewer, spirits from Sweetgrass in Union, and delicious applejack and absinthe from Tree Spirits in Oakland. Or, try the ciders and kombuchas from Urban Farm Fermentory in Portland.